Bonjour and Bonne Année from beautiful St. Barth to all of my loyal readers! I hope that you enjoyed the holidays and I wish you a very healthy and happy 2016. One of my sons, Mark Smyth (the dentist vs. son, Tom Smyth, V.P. at St. Barth Properties) along with his family were, once again, able to join us in St. Barth for the holidays. He wrote this guest blog. I hope you enjoy it. My name is Mark Smyth. My family and I have been fortunate enough to be at least annual visitors to this beautiful island of St Barth. 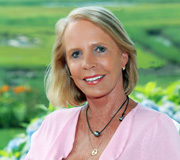 Brother Tom Smyth and mother Peg Walsh as well as the entire St. Barth Properties team have made this possible. 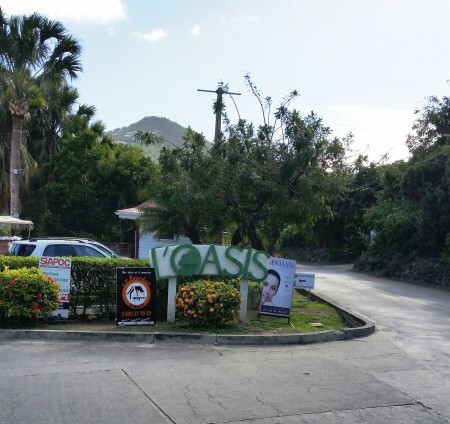 The magnificent landscapes, quaint villages, and friendly islanders are amazing allures to this little slice of paradise; the world class cuisine is one its finest pleasures, thus the point of my blog. 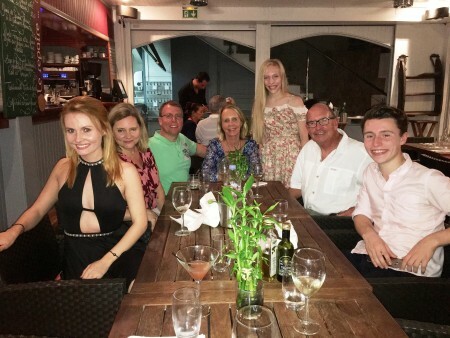 We enjoyed Christmas Eve dinner at Le Repaire in Gustavia. (L to R) My daughter Reegan, my wife Cynthia, me, my mom Peg, daughter Lilia, my stepdad Doc and my son Nate. After indulging in some French and Caribbean delicacies for a few days, I typically feel the need for some cardio exercise. Normally, I would find a less busy part of the island and partake in a 30-45 minute jog. Over the past few years, the wear and tear on my knees plus a few extra pains au chocolat have made running less practical. Walking has become my exercise of choice. In the early morning, I embarked on a walk that took me from L’Oasis in Lorient down through St. Jean looping back along the stadium and recreational areas and returning to L’Oasis. It is exactly a 5 km course taking about an hour (depending on how many stops one makes to drink in the gorgeous scenery and snap a photo or two). Very importantly, it is 95% sidewalk accessible. It’s hilly too which gets the cardio going. I began my early morning trek by starting out at the L’Oasis Center in Lorient. The reason I am writing this blog is because during my walk at 7am, I rediscovered the absolute stunning beauty of this French piece of Eden. 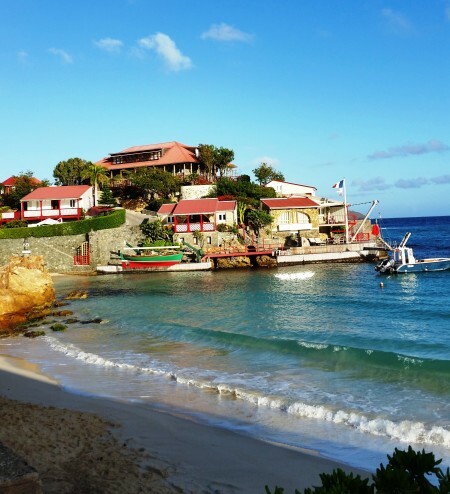 Over the years we’ve tended to get into our rented vehicles and drive to the beach, then back to the villa, or to Gustavia to shop and back, or out to dinner and back. 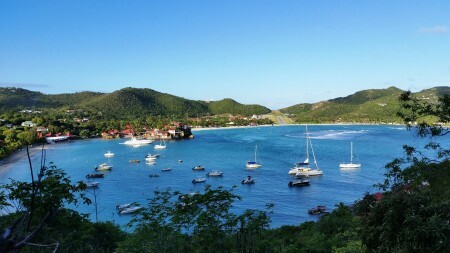 Cruising the island at 30-40 km/hr., I’ve missed out on some of the subtle idyllic nuances of St Barth. Being the driver nearly all of the time, I have had to focus on keeping our car on the wonderful, narrow local roadways. While on my walk that day, I rounded a bend at the top of one of the hills high above St. Jean and, suddenly, I was looking across to the little airstrip which was illuminated by the rising sunshine. The tiny airstrip is bathed in the early morning sunlight. Further along, I could see all the way across the Baie de St. Jean and hear the surf lapping against the rocky shoreline below as well as some birds singing from nearby flowering trees. The occasional bleat from a goat and a call from a rooster all joined in to enhance the spectacular vistas I was taking in. I genuinely felt a calmness and reconnection with this lovely isle. Stop for a moment. 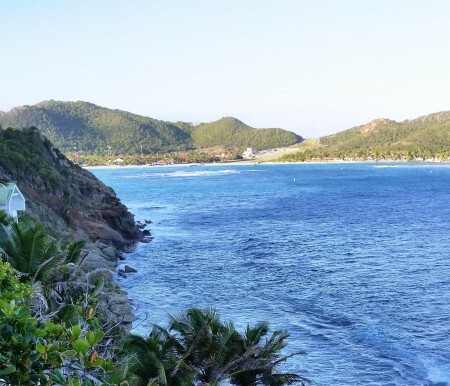 The breathtaking view of the Baie de St. Jean is not to be missed. A flat stretch brought me by St. Jean Beach and peek at Eden Rock. I kept going (Be aware that the sidewalk disappears for a bit and it’s not really pedestrian-friendly which is another reason to go early). I crossed the street and continued to the gas station, bought a bottle of water at the Superette de L’Aéroport and took that road to begin my loop back passing by the fire station, stadium, municipal tennis courts and pool and then along the Étang (salt pond) that is parallel to the main road, then took a left to end back at Eden Rock and reversed my direction. Eden Rock divides the Baie de St. Jean into two parts. 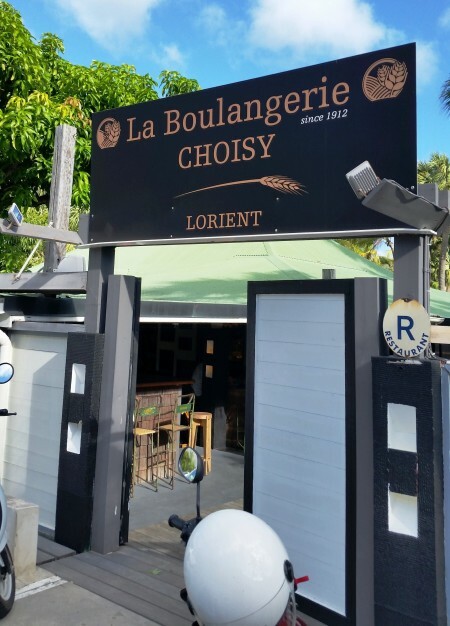 And, of course, when I returned to my car at the L’Oasis parking lot, a visit to the new boulangerie Choisy for a pain au chocolat was well deserved. 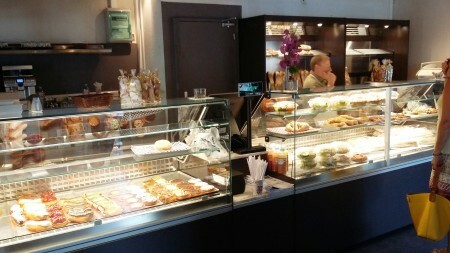 The Pain au Chocolat (Chocolate Croissant) at the new boulangerie Choisy in Lorient is hard to resist. 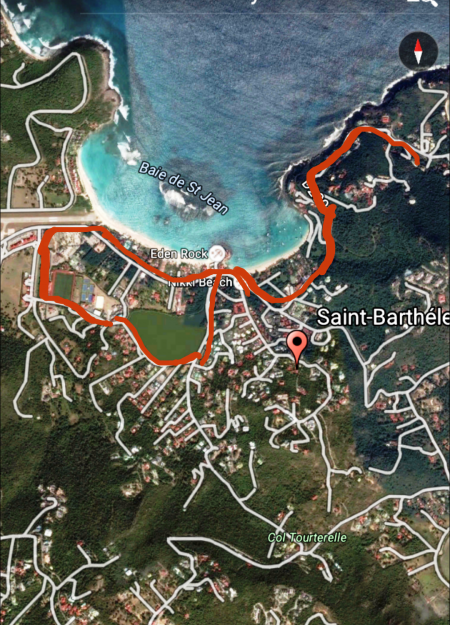 I may try and scout out some other walkable courses around the island, but for this trip, I continued walking the loop that helped me rediscover the beauty that has drawn us all to St Barth. p.s. I would recommend embarking on this 5K walk early in the morning (before 8am). I do so because there will be less traffic noise cruising by as you walk and the rising sun bathing St. Jean is inspirational!